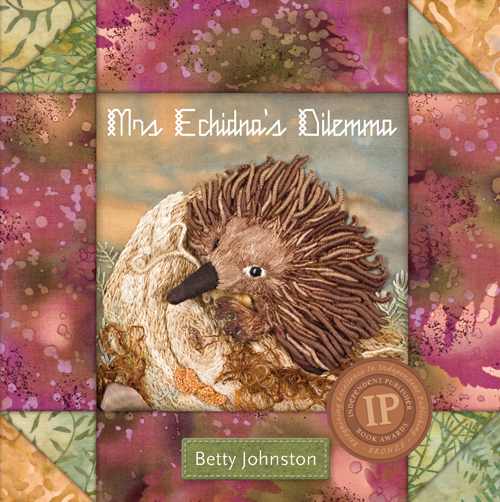 Mrs Echidna's Dilemma has wide appeal. The book with its simple narrative, additional information on the animals encountered, patterns for finger puppets and DVD , was originally written as a resource for early learning centres. The hand-embroidered illustrations are a magnet for quilters and embroiderers alike, while the animal science of the additional information attracts those interested in the protection of our precious Australian environment and native fauna. Truly a great addition to any school or home collection!